Please note: Gigaset DECT products are designed for use within the UK only. Using them outside this region will void your warranty. The Gigaset A580 IP DECT Phone is the latest addition to the Gigaset range of cordless dual mode phones. Connect to both a standard landline and Broadband for IP/Internet Calls. Up to 6 handsets can be registered to the base station and it allows two internet calls as well as a landline call to be made at the same time. This stylish handset maintains the ease of use and quality of the existing range with the addition of an SMS functionality PSTN/VoIP up to 160 characters for easy text messaging. The A580 IP handset has an illuminated B/W display 96x64 pixel and features 5 polyphonic ring tones and 10 melodies. Being able to register the A580 IP with 6 different SIP accounts gives the users the advantage of having 6 separate numbers or extensions at the same time, maximising the use of their Internet connection for voice calls. Up to any six handsets can be registered with any base station. 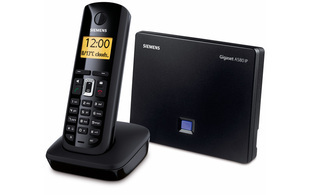 Connects to a standard land line and Broadband for Internet calls. Can make 3 calls at the same time 1x landline 2x Internet. Please note the C300H and E500H handsets will have limited compatibility with the A580IP. This means that only basic features such as making and receiving calls will be avaliable when using those handsets. 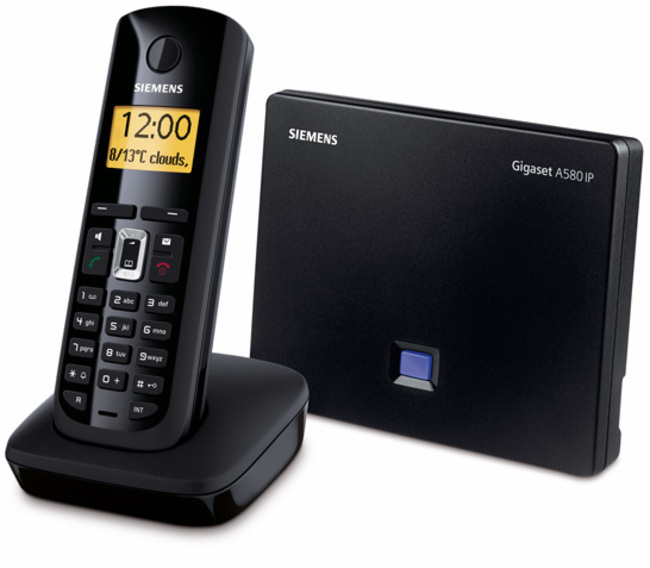 View our Gigaset DECT compatibility guide for more information.